Respiratory intervention, or mechanical ventilation, uses a machine to help people breathe when they can’t do it on their own. The ventilator machine delivers fresh air into the person’s lungs. If necessary, the ventilator can also increase the amount of oxygen delivered to the lungs. Non-invasive ventilation: This type delivers air through a facemask that is connected to a ventilator machine. Another name for this is non-invasive positive pressure ventilation (NIPPV). Invasive ventilation: This method uses a breathing tube to deliver air. This tube rests in the windpipe and connects to a ventilator machine. For long-term ventilation, doctors may insert a tube through a small incision in the neck, which is called a tracheostomy. 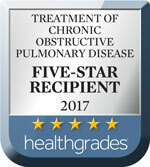 As part of our respiratory services, Southcoast Health offers respiratory intervention in southeastern Massachusetts and Rhode Island for patients who stay at our hospitals. If you have questions about using mechanical ventilation during your upcoming surgery, talk to your doctor about what to expect. Do I Need Mechanical Ventilation? You won’t be able to talk or eat with a breathing tube. You will get nutrition intravenously (through an IV) or a feeding tube. Mechanical ventilation is not painful, but it can be uncomfortable. Sedatives help keep you comfortable. Monitors will measure your vital signs, including respiratory rate (breaths per minute), blood pressure and pulse. Your team will try to wean you off the ventilator when you are ready. When you come off the ventilator, you may have coughing and hoarseness for a short time. Some people need ventilation for an extended time after surgery, which can be applied in a rehabilitation center, long-term care facility or even at home. 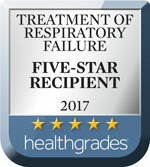 Southcoast Health offers respiratory intervention through mechanical ventilation in Fall River, New Bedford and Wareham, MA.